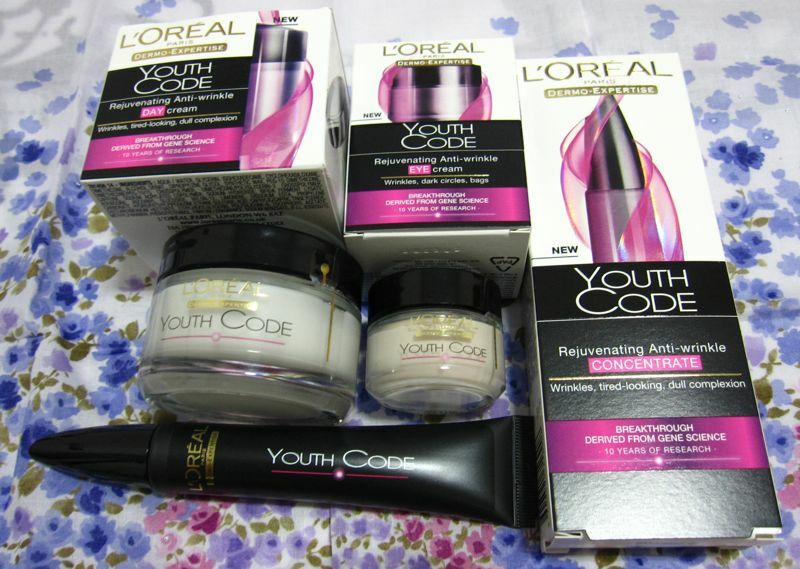 For ladies who are interested in L'Oreal's new Youth Code skincare line, it is actually much cheaper to purchase the products from Changi Airport dutyfree where L'Oreal products are about 35% cheaper compared to Watsons. 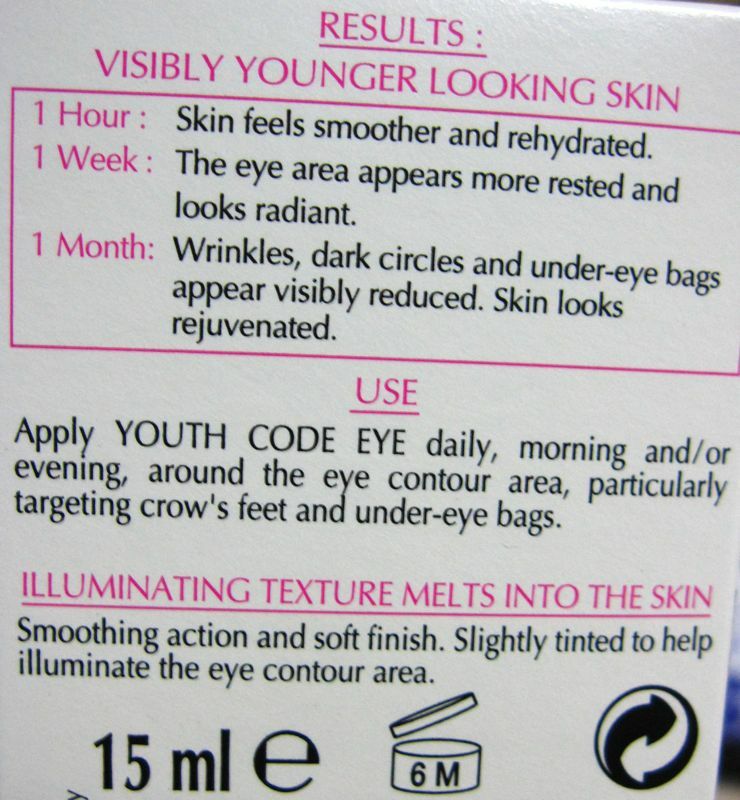 The Youth Code Rejuvenating Anti-wrinkle Concentrate costs S$45.90 while the Eye Cream and Day Cream cost S$42.90 each at Watsons. At the Changi Airport dutyfree, all three products cost only S$26.90 each. The dutyfree also sells a set containing the Concentrate and the Day Cream at just S$48.90. I think there is also a set with the Concentrate and the Eye Cream for the same price. 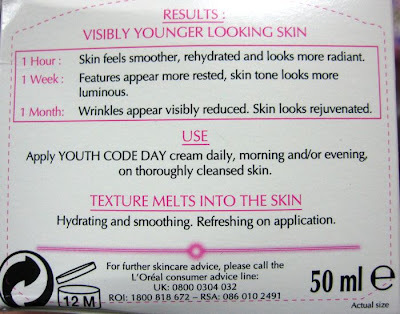 While I was in London recently, Boots was selling the Youth Code products at only £10 each (about S$21), down from the usual price of £15. The price difference between the UK and Singapore is staggering but as all the Youth Code products are manufactured in Germany, it's not surprising that they are cheaper in Europe. 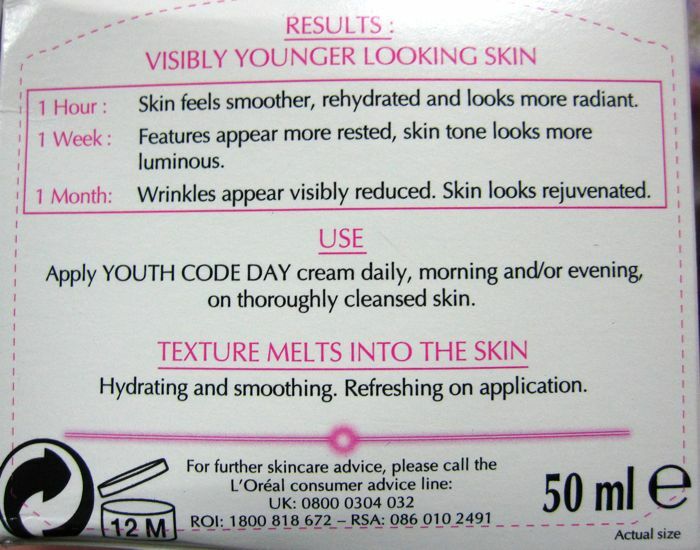 Of the three products, I've been using the Day Cream and Eye Cream quite regularly. The Day Cream, which is targeted at preventing wrinkles and skin dullness, has a soft lightweight texture that absorbs quite easily. It does a pretty good job of hydrating my skin. However, if you have very oily skin, you may prefer a moisturiser with better oil control or mattifying properties. 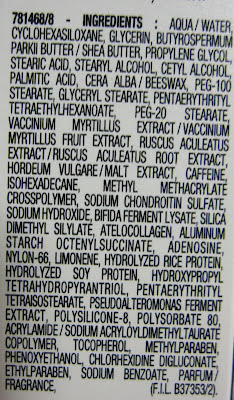 It does contain alcohol, silicones and parabens so it may not be suitable for ladies who are sensitive to these ingredients. 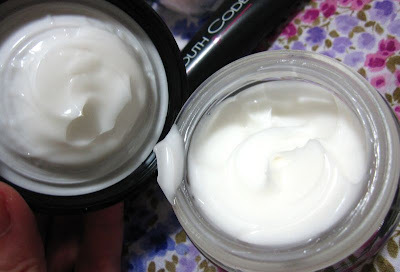 I also liked the Eye Cream as it absorbs quickly without any greasiness or stickiness. 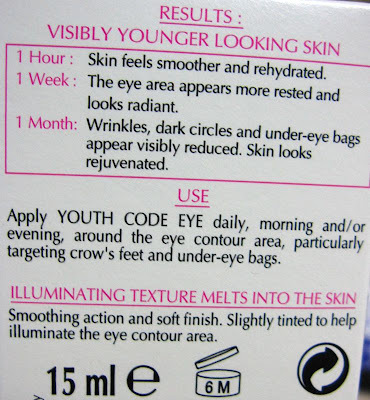 After turning 30, I can really feel the skin around my eyes becoming dryer so I try to ensure that I apply eye cream at least once, if not twice a day, so as to guard against those dreaded fine lines and crow's feet. At the same time, one should not use too heavy an eye cream as that can result in milia seeds. 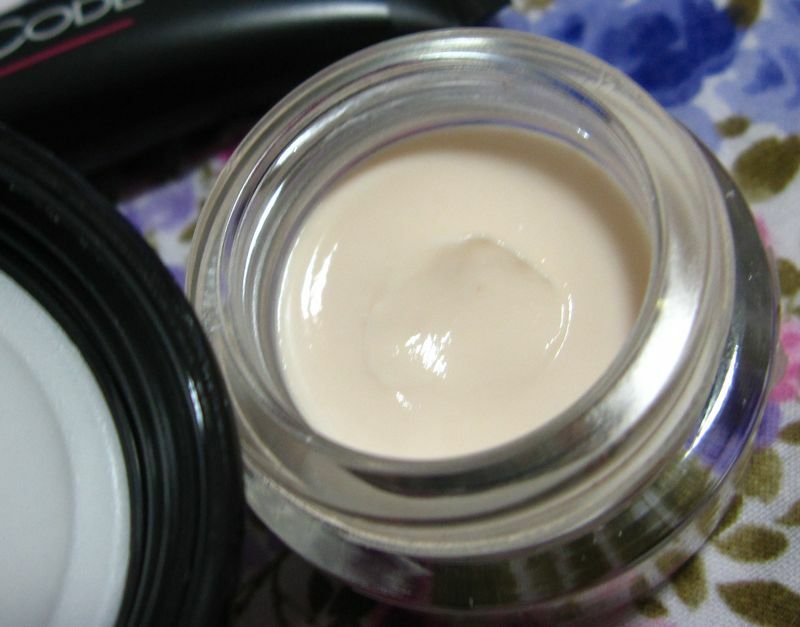 The Eye Cream is slightly tinted to help give an illuminating effect. The illuminating effect is very subtle. I haven't used the Concentrate yet, which is recommended for use on the more deep set wrinkles and smile lines. I much prefer the squeeze tube packaging over the pot packaging of the Eye Cream and Day Cream. The tube packaging is much more hygienic and allows precise control over the amount dispensed. It should be available at all terminals in the Perfumes & Cosmetics stores. 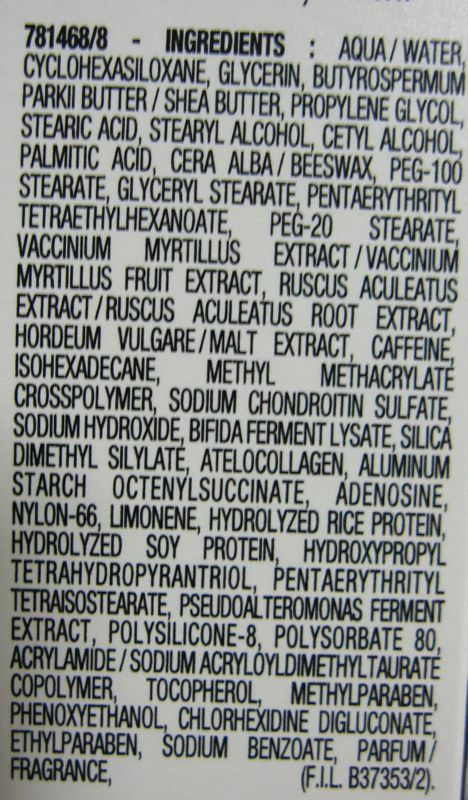 I agree that all skincare products should be packed in a dispenser or a tube. My eye cream comes in a pot as well and some cream will get trapped under my nails. Quite unhygienic but I always wash my hands before I prep my face. I saw it at Terminal 3 in the big perfumes and cosmetics store right after immigration, when I was flying out from Singapore. It was still available when I passed through last weekend.